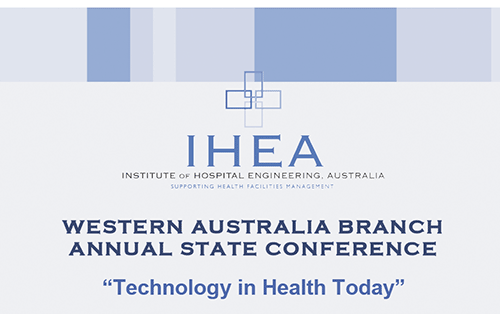 The 2013 IHEA event is an annual state conference with the theme of “Technology in Health Today”. Speakers from major corporations and government departments were invited to present on technology and efficiency issues. The Pan Pacific hotel created an excellent opportunity for conference delegates to network and be educated at the conference. The conference were relevant to professional organisation for engineers and engineering facility managers employed in the private and public health sectors as well as consultants engaged in related work. We would like to say “Thank You” to Promaco Conventions Perth for helping to make our State Conference a success. Our recent State Conference registration process was only available on line and Promaco’s system proved to be so efficient and kept us up to date with numbers and payments. Promaco are so helpful and they make a conference organiser’s job so much easier.